Summer Camp Scholarships are Available! Our friends at Living Waters Bible Conference in Danforth, Maine have been “camping with a purpose” for 47 years. We have scholarships available for a week at camp for any kid, age 8 to 18; all you need to do is call the church to inquire. We can even arrange transportation for your child to come to camp. July 9th is the deadline for applications. Call or email the church for details. Choose your camp week from Pioneer Camp (up to age 12), Sports Camps (soccer or basketball for ages 8-18), and Super Teen Week (age 13-18). There are tons of activities to choose from for every camper, dedicated guest speakers, and talented musicians. The camp offers lakeside activities, horsemanship, archery, ga-ga dodgeball, swimming, water skiing and wake boarding, scrapbooking, mountain biking, martial arts, canoeing and kayaking, mini golf, climbing tower, zip line, volleyball, water trampoline, and many more. Here is the camp website for more details; simply call or email the church if you would like to make use of one of our available camp scholarships. 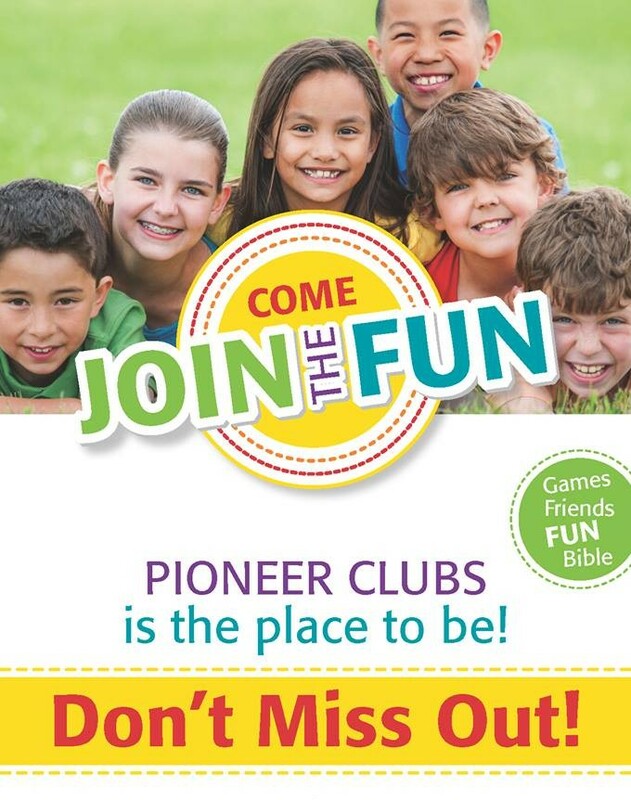 Pioneer Club is almost here!